Grandad collar. Slim fit - cut close to the body. Contains stretch for comfort. TO FIT CHEST 36"-38". Mens Casual Oxford Shirt With Grandad Collar In Khaki Size L. Condition is Used. Dispatched with Royal Mail 2nd Class. Shirt is in excellent condition and has been worn twice. Selling as it is too big now. 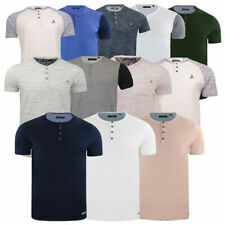 Asos Mens Grandad Collar Shirt Medium BNWT. Condition is brand new with tag. Great shirt with unique multi stripe feature. NO OVERSEAS POSTAGE. DO NOT BID OUTSIDE THE U.K. Contrast black long sleeves. Black body. Collarless button fasten. Embroidered logo on the chest. 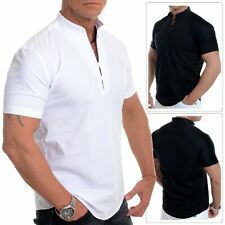 New Mens H&M HM Black Grandad Collar Shirt Size UK Small, without tags. Never been worn. Check out my other items for sale! SLEEVE LENGTH [ 26” ] COLLAR TO SHIRT TAIL [ 31” ]. 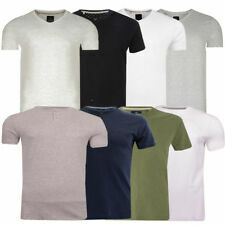 COLLAR SIZE [ 17” ] PIT TO PIT [ 23” ] SUGGESTED CHEST SIZE [ 40”/42” ]. HERE ARE A FEW EXTRA DETAILS ABOUT THE SHIRT YOU ARE VIEWING. 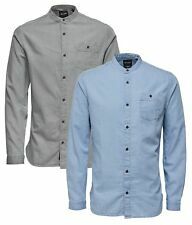 Men’s Unworn ASOS Long Sleeve Shirt With Grandad Collar & Black Buttons. 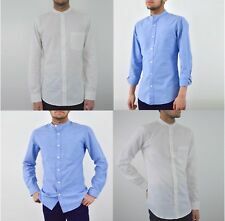 Men’s Unworn ASOS Long Sleeve Shirt With Grandad Collar & Black Buttons.. Condition is New with tags. Dispatched with Royal Mail 2nd Class.